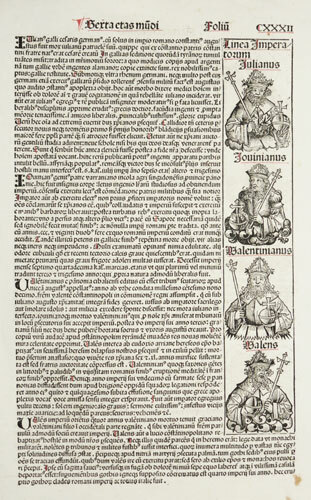 Nuremburg, 1493, Latin edition. An incunable sheet featuring four portraits of Roman emperors: Julian (sole ruler AD 361-363), Jovian (363-364), Valentinian (emperor of the West 364-375) & Valens (Eastern Roman Emperor 364-378). On the reverse are seven more woodcuts, portraits of a religious theme, including Macedonius I of Constantinople, the heretic bishop c.AD 350. 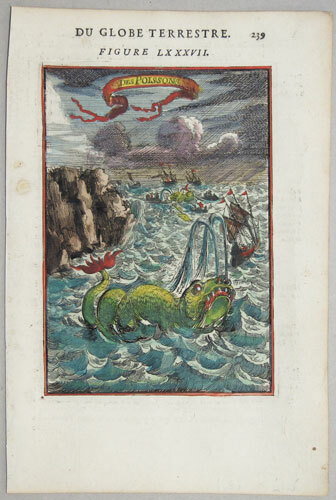 Print of a sea monster. Paris, 1683. A small print of a twin-spouted whale, with a whaling fleet behind. London, 1749. 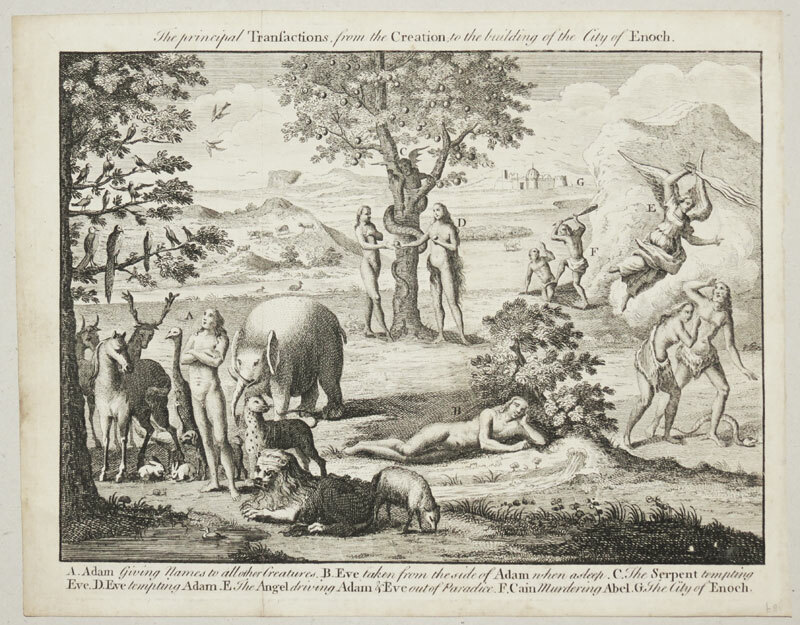 Five scenes from Genesis, the first book of the Bible: Adam naming the animals; Eve being made from Adam's rib; their temptation by the serpent and their eviction from Eden; Cain and Abel; and the founding of Zion, the city of Enoch. London, C.Cooke, 1801. A circular scene of the Four Continents, Minerva and Britannia, with a border surmounted by a figure of Neptune, with medals with the names of famous explorers from Magellan and Drake to Anson, Cook and La Perouse. 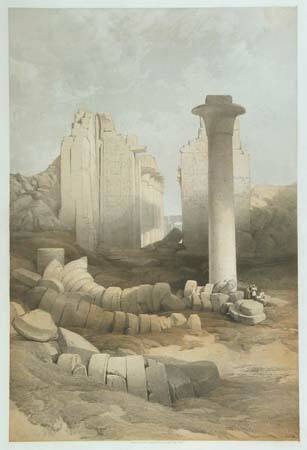 Engraved by R. Woodman after a design by W.H. Brown. London, c.1835. 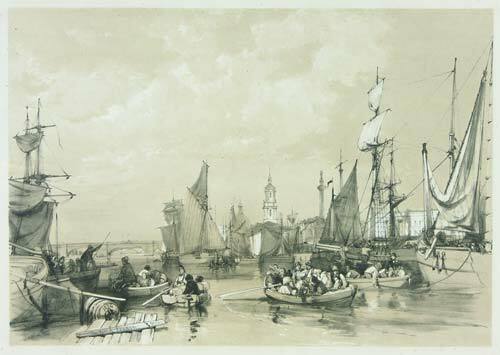 A scene of the traffic on the Thames. London: W.Orr & Co., c.1840. 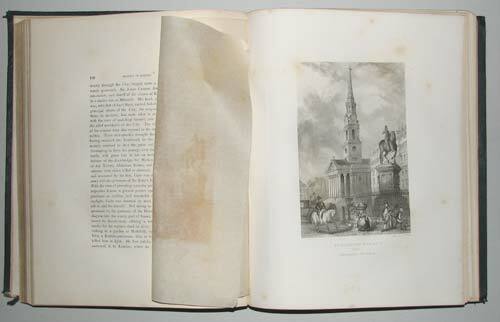 Originally issued by subscription 1837-38, this is the complete work, published soon after (pre-dating the inclusion of the plate of the New Royal Exchange, opened 1844.). 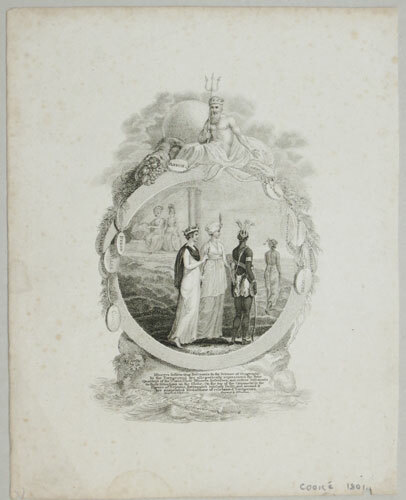 The frontispiece and five of the plates were supplied by Thomas Shepherd. London, Mackgowan & Davis, 1780. 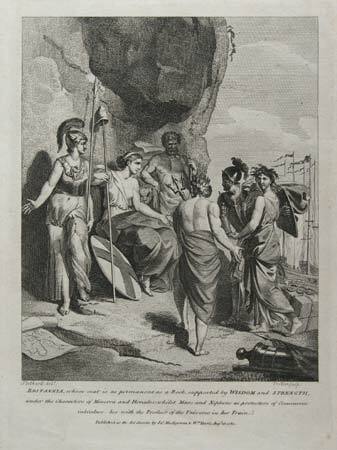 An allegorical scene of Britannia, engraved by Trotter after Stotard. View of London's Stock Exchange. Paris, c.1683. View of the Royal Exchange building, with the title on a banner in the sky. Amsterdam, 1756. 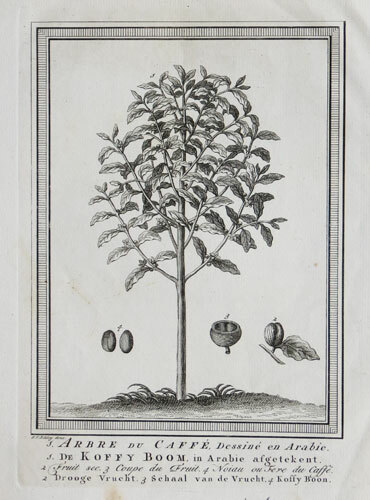 An illustration of a coffee bush, 'drawn in Arabia', with diagrams of a berry and bean. 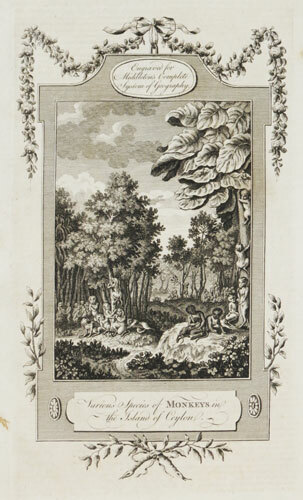 Engraved by Schley for a Dutch edition of Prevost. Paris, 1683. 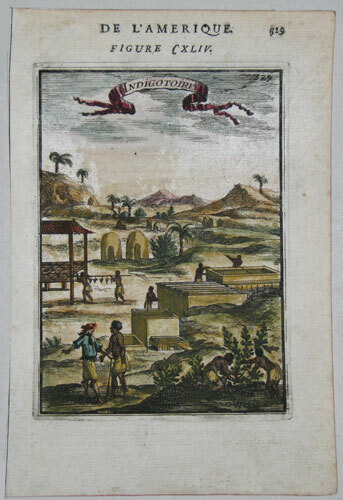 An indigo refinery in the Caribbean, worked by slaves, published in Mallet's 'Description de l'Univers'. Paris, 1683. A sugar refinery in the Americas, worked by slaves. On a mound is grinding mill driven by donkeys in an open-sided building, with a pipe feeding the cane juice downhill to an evaporating shed where it is reduced over fires. In the background workers cut the sugar canes in fields. Published in Mallet's 'Description de l'Univers'. Paris, 1683. 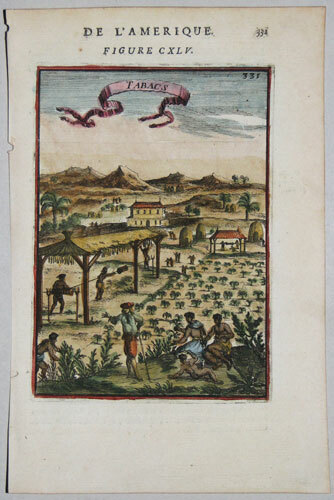 A tobacco plantation in the Caribbean, worked by slaves, published in Mallet's 'Description de l'Univers'. London: F.G.Moon, 1849. Karnac view. London, c.1686. 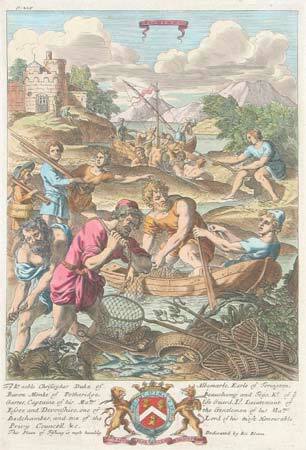 Engraving depicting the various types of fishing, including angling and trawling, published in Blome's 'Gentleman's Recreation'. Under the plate is a dedication to the Duke of Albermarle, listing his extensive titles and posts, including Captain of the Life Guards. London, 1875. 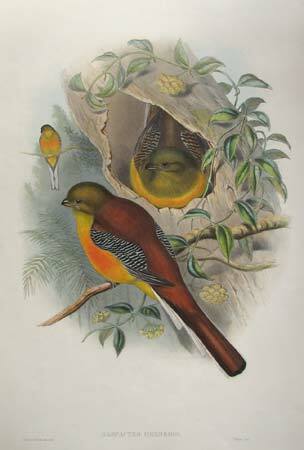 The Mountain Trogon, a native of Java, drawn by John Gould and H.C. Richter and published in Gould's 'A Monograph of the Trogonidae or Family of Trogons'. London, 1875. 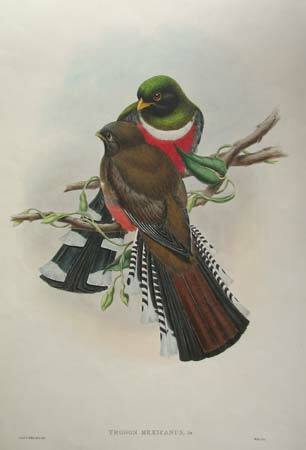 The Mexican Trogon, drawn by John Gould and H.C. Richter and published in Gould's 'A Monograph of the Trogonidae or Family of Trogons'. London: 1820-1904. 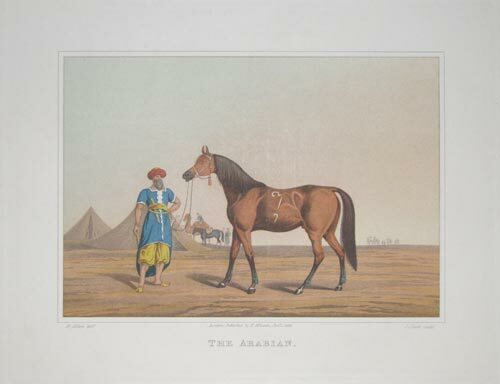 A copy of the scarce original aquatint, showing an arabian horse in the desert, with pyramids in the background. London; George Vertue, c.1840. John Rennie's bridge, opened 1831, now in Arizona. London, c.1780. Bizarre-looking monkeys, supposedly inhabitants of Sri Lanka. 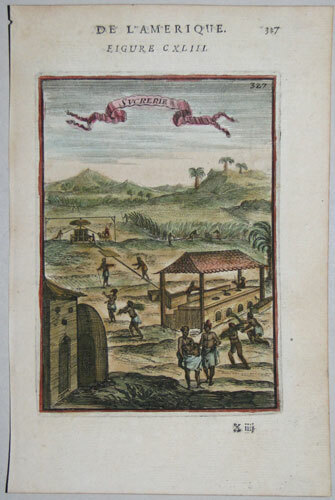 Published in 'Middleton's Complete System of Geography', with a decorative border. London: J. & P. Knapton, 1747. 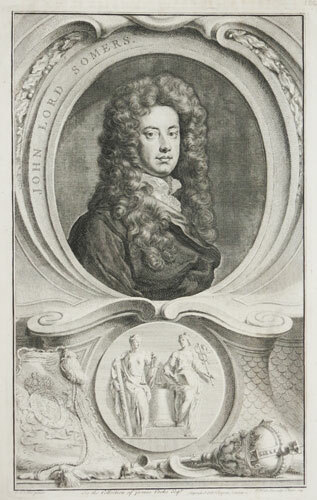 Portrait of John Somers, 1st Baron Somers, (1651-1716), engraved by Jacob Houbraken after Kneller, published in George Vertue's 'eads of Illustrious Personages of Great Britain'.